A veteran broadcaster in radio and TV Dave’s been on the air in Cape Breton since 1975. He has won several awards as a former news director and hosted the popular open-line show “Talkback” for 13 years. He now keeps you entertained as our morning on-air personality at the Coast 89.7. Dave has also served as an MLA for Glace Bay for 11 years. He has three children, Jonathan, Daniel and Jeana. 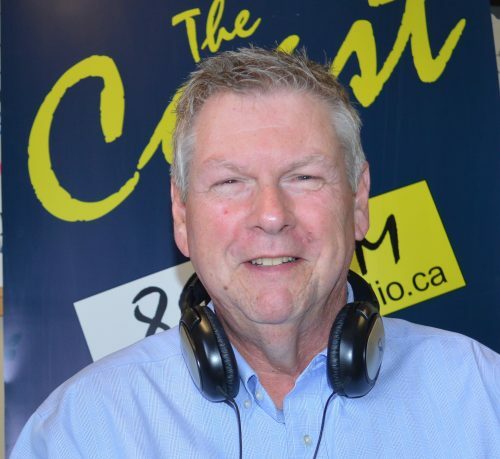 Phil has been a well known broadcaster in the Cape Breton market for over 40 years starting at CJCB in 1976, working on The CAPE 949 and MAX 98.3FM as On Air afternoon Host and Promotions Director. Joining the crew at the Coast 89.7 in September of 2016 as New Program Director and midday host. Phil is very active in community work, Past President of the Sydney Sunrise Rotary Club, Sydney Ribfest entertainment chair and more. Bill MacNeil is the General Manager of Coastal Community Radio Co-operative and Music Director for The Coast 89.7. Through his dedication and follow through on the idea for a radio station that specializes in East Coast Music, The Coast 89.7 was born. Bill is responsible for the overall management of the station. Outside of his management responsibilities, Bill can be heard on-air with Country Cafe weekdays 11am-1pm. He also takes an active role in the production of commercials and promos. Under his leadership, the station was named The Radio Station of the Year Award at the 2011 East Coast Music Awards and nominated for Radio Station of the Year at the 2011 Music Nova Scotia Awards. Bill has been a long time advocate for local musicians and believes in locally owned and operated radio for Cape Breton. 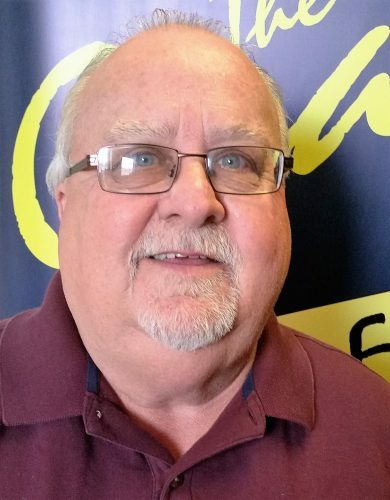 Bill began his radio career with CKBW Bridgewater and was Operations Manager & Music Director with CKPE-FM Sydney until 1993 when he left radio to work in the Music Industry. He returned to radio in 2003 when Coastal Community Radio Cooperative was established. Despite his many responsibilities at The Coast 89.7, Bill is a proud Rotarian with the Rotary Club of Sydney Sunrise. 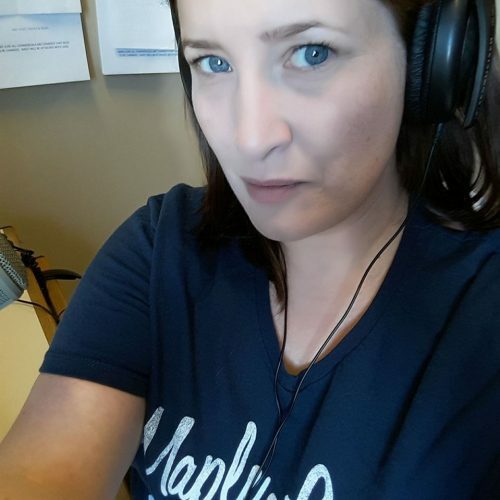 Gena DiFlavio hosts afternoons from 1pm to 3pm on The Coast 89.7 and is the host of the popular Flashback Friday program featuring the hits of the 60’s at 6, 70’s at 7, 80’s at 8 and 90’s at 9. Gena is also the Coast 89.7’s Creative Director writing and producing scripts for our clients. Gena’s creativity has been showcased on stage in many local theatre productions. Combining her theatrical experience and broadcast writing experience with stints at MBS and CTV, Gena enjoys the creative freedom she’s been given at The Coast 89.7 to showcase her talent on the air and behind the scenes. Ron Neville first caught the radio bug listening to local stations at around the age of 10, and later to international short wave stations as a teenager. Ron, a native of Glace Bay, graduated from the Kingstec broadcasting course in Kentville, Nova Scotia in 1980, and joined the staff of CHER Radio in Sydney later that year. He left CHER in 1988 to pursue a university education in computers, always with a view to combining his dual interests of broadcasting and radio. 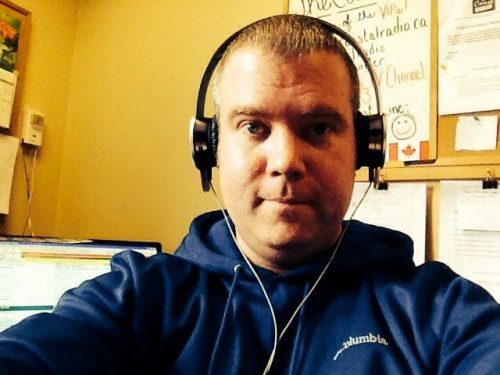 His educational pursuits continued thru the 90s and his spark for radio was reignited in 1998 when he volunteered at CAPR radio at UCCB (now CBU), and later at Radio FreeECMA. 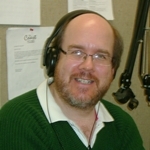 As an adamant supporter of community-based radio, Ron joined The Coast 89.7 in early 2006, performing production and on-air duties while it was still a special events station. With the launch of the 6,000-watt station he took on news duties from December 2007 until October 2008, when he returned to his first love, music announcing and commercial production. Scott Purdie does fill-in duty on-air as well as for on location broadcasts when called upon and has been involved with the Coast since its launch in 2007. Scott resides in Coxheath with his wife Melini and two children, Kaitlyn & Isaac. In his spare time, Scott is an assistant coach for his daughter’s hockey team and also plays hockey as a goaltender – or at least he tries to. Scott has also been involved with the Kidney Foundation of Canada as a volunteer having helped organize and fund-raise the annual Kidney Walk in Sydney. Scott is an avid music fan of all types of genres and especially enjoys timeless hits of the 1970’s, 1980’s, & 1990’s. Scott’s favourite Cape Breton Island destinations include Kennington Cove, Ingonish, and Inverness. As the News Director, Bobby Nock will get your day started by bringing you information that helps connect you to the community with all the latest in local news. Bobby grew up in Whycocomagh before moving to Halifax to attend university where he earned a Bachelor of Arts and a Bachelor of Journalism degree. After university, Bobby moved back to Cape Breton where he began working as a freelance journalist and has done work for both print media and as a broadcast journalist. When he’s not working as a journalist, Bobby turns his hand to his first passion – art. His work has been shown in venues across the Maritimes as well as New York City. His current project is his second year-long Marathon of Art. Beginning with the opening of the London Olympics, Bobby has produced a work of art everyday and posted the results on his website. Dave Desveaux, a native of New Waterford leverages his experience and passion for research in The Coast 89.7 Newsroom where as the Weekday Newscaster. His foray into radio began with a research position at The Coast, which led to the production of a radio documentary on the music of the Mi’kmaq people. The program, entitled “First Nations, First Music” was co-produced with fellow Coast personality Ron Neville and released in early 2011. 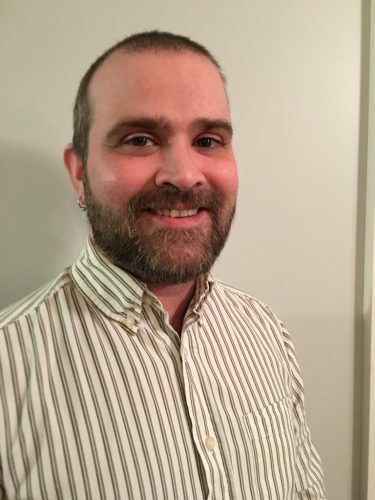 A graduate of Breton Education Centre, Dave went on to get a Bachelor of Arts Degree in History and Sociology from Cape Breton University, as well as a Master of Arts Degree in Sociology from Dalhousie University. He has worked as a teaching assistant at Dalhousie, and in various short-term customer service and research positions. Born to a military family, Donnie Antle lived in various spots in Canada and Europe before finding his way to Cape Breton in 2014, where he has family roots in Whitney Pier. He studied journalism at Algonquin College in Ottawa, and freelanced for a few publications after graduating in 2000. When not on the air, Donnie can be found on stage in local theatre productions, or behind the bar at the Highland Arts Theatre. This is Cape Breton’s longest running Celtic Radio program, now for over 43 years Celtic Serenade has been showcasing artists and delighting audiences across Cape Breton and around the World. Join host Donnie Campbell Sunday evenings at 5pm-8pm for three hours of the very best in Celtic, Bluegrass, Folk and East Coast Music. Just want to drop a note to say the music being played this morning is great – thanks Ron . Good afternoon. Just dropping you a line to say “thank you” for allowing me to sit in with Phil Thompson and Bill MacNeil on Feb 16th. It was so interesting to learn about how much goes on behind the scenes. Thanks for making my 60th one to remember ! If you are ever in need of volunteers, Dorothy & I are willing and able. Well hi! Thanks so much for your message, we’re big fans of yours here at The Coast. We play your music on a regular basis, and I personally love that song. I’m so glad our listeners enjoy it as much as we do! You should pop by the station the next time you’re out our way for a chat 🙂 Thanks again for your message, take care! Excellent radio station – like your variety of music listening always on in my kitchen!!! Gena i think your the best love listening to you makes my day hearing your voice. My name is Lexis Berkin and I’m a high school student from Ottawa, I’m working on a project for school about the music industry and I’m hoping you can help me out gathering some information. I was wondering what you prefer artists to do, send you hard copy CDs in the mail or high-quality Mp3s/ wave-files with album artwork via email. We actually prefer music submitted to us through DMDS, Digital Media Distribution System, although we do accept hard copy submissions as well as high quality mp3’s. Hope this helps! We were away for 2 weeks in sept.and oct. and since I came back I haven’t heard Alisha MacIntyre on your station (daytime). Is she not with you guys anymore? I realy enjoyed listening to her program in the morning. Thank you! Alysha indeed is no longer with us, she moved to Ontario in October. We miss her, too! 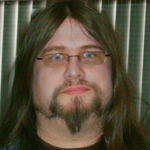 Error: Error validating access token: Session has expired on Friday, 08-Feb-19 11:36:11 PST. The current time is Thursday, 18-Apr-19 13:25:50 PDT.